San Diego DJ Justin Kanoya with Dana Jensen, one of the coordinators for the Creative Mornings San Diego third birthday party at Luce Loft. 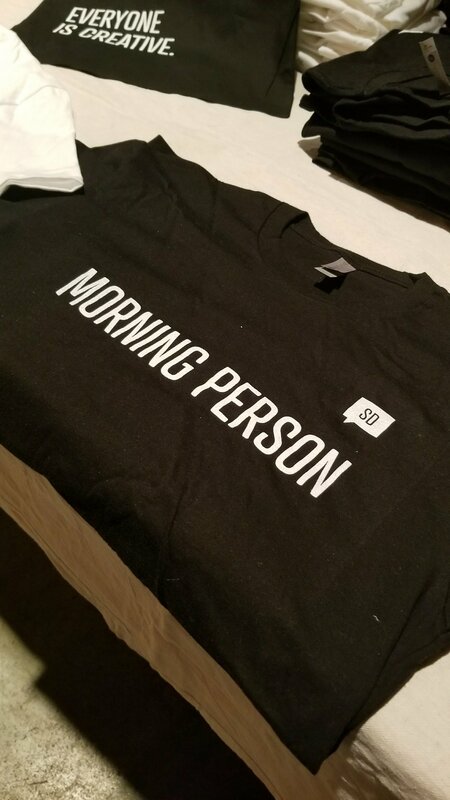 On January 26, 2018, the San Diego chapter of Creative Mornings celebrated its 3 year anniversary with a bash at Luce Loft in downtown San Diego. 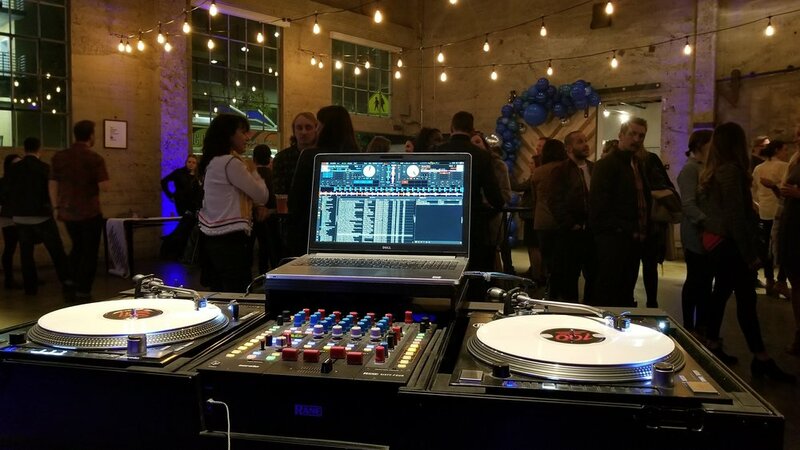 Activities included custom screen prints, Snake Oil Cocktail Co. signature drinks and of course some good beats all around. For the past three years, Creative Mornings has put together networking events in San Diego that have brought out inpiring guest speakers that present a wide range of topics. Here’s a look at the setlist for the event.